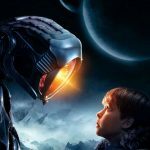 Netflix has dropped the first teaser trailer for its reboot of Lost In Space. No full glimpse of the Jupiter 2 yet or any glimpse of the Robot. Notice the variation of the third season theme at the end. Let us know your thoughts in the comments.